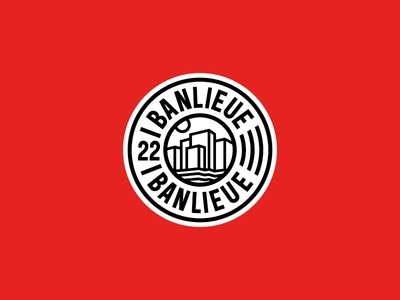 Banlieue Patch Design — Patch Embroidery design for Banlieue clothing including the new typeface i've developed. 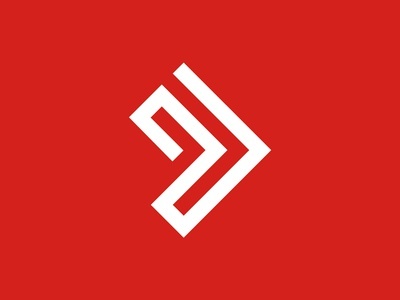 Rosaparks Logo — Been working for a while now for Rosaparks, the best burgers and fries in town, Paris that is! 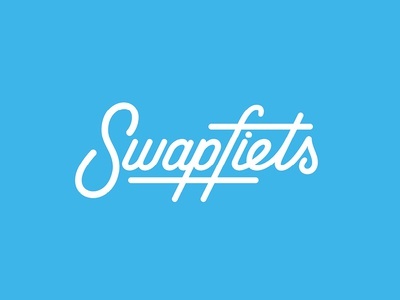 One the the recent projects is the restyling of their logo! Check out the attachments for some proposals, before and after and a larger image. 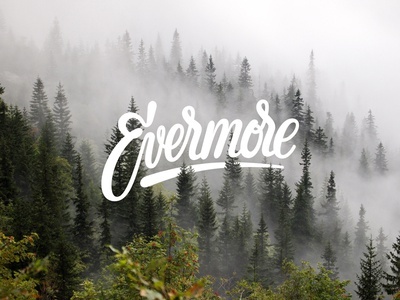 project365 #110 Evermore Logodesign — Logo design for German creative agency EVERMORE, who are specialised in sustainable design and branding. Some progress in the attachments! MAM Craftbeer Distribution Logo design — Part of a bigger identity project, Mad About Malt. 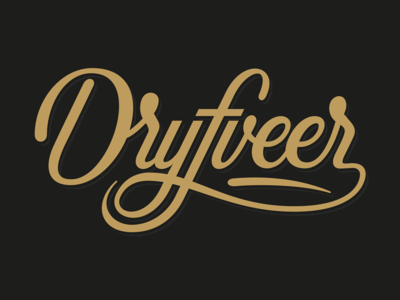 Check the project folder to see more Mad About Malt designs! Radio 10 Top 4000 poster campaign — Worked together with Joe Public Amsterdam (who developed the concept) on a series of Top 4000 posters for dutch radio station Radio10. 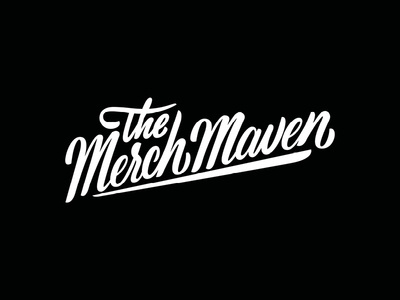 10 designs in total. 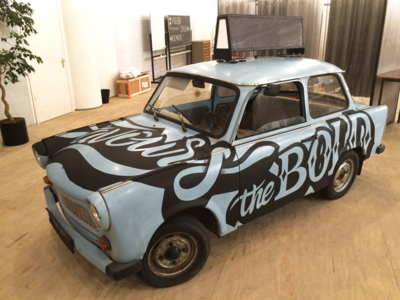 MAD ABOUT MALT Logo design — Created the identity for Rotterdam based craftbeer shop Mad About Malt. Mad About Malt is carrying a handpicked selections of the finest beers from Spain, USA, The Netherlands, New Zealand, Canada to name a few. 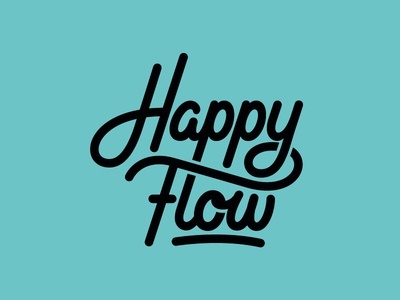 Mad About Malt is all about good flavors and awesome beerlabel designs. Check some more pictures in the attachments. 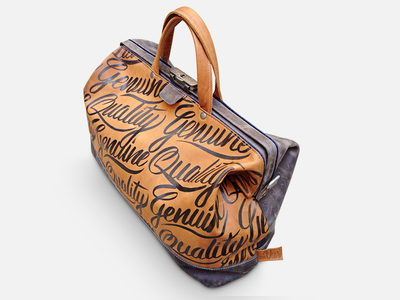 vanveerbags X bijdevleet doctors bag — Teamed up with van veer on this awesome one of a kind handmade leather doctors bag. 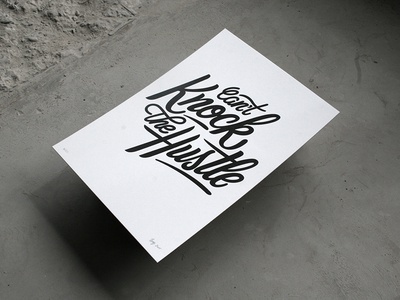 Handlettered by yours truly and designed and crafted by vanveerbags! Made out of congnac and black/grey cowhide, dark blue denim lining with an adjustable shoulder strap. Bijdevleet X Nieuwehoogte Poster Series — Collaboration with Nieuwe Hoogte Letterpress Studio Size A3; letterpress on a #handcrafted 1200 grams duplex cotton paper, front white, back black, limited to 25 prints, each signed, stamped and numbered. Punch. 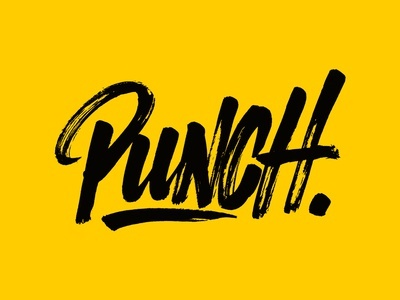 — Punch ... raw brush lettering. 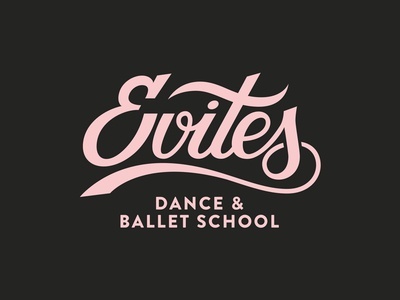 Evites Identity — Logo/identity design for Dance & Ballet School 'Evites' Check the attachments for more items! 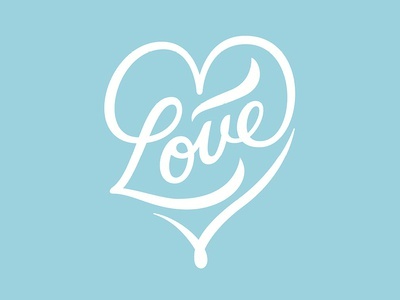 Love Govino Dribbble — This was an great project to work on for Govino Wineglasses. I made four designs for a set of wineglasses. Each glass had a different design. Unfortunately the (finished) designs didn't survive the focus group. Check out the attachements! 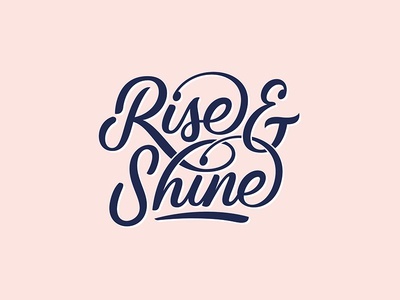 Rise & Shine for Quotecap® — Typographic design for Quotecap®. More pics and sketches in the attachments. 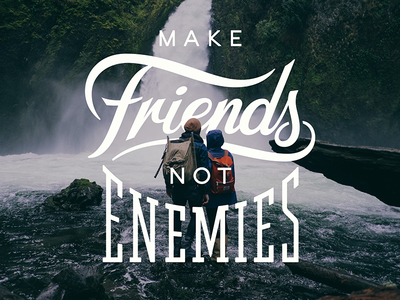 Make Friends Not Enemies — T-shirt design for Uglykid Clothing. Check Attachments for progress shots! 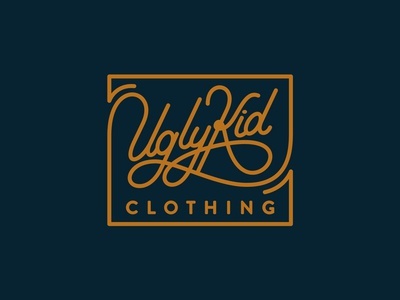 Ugly Kid Clothing: LABEL LOGO — Another design I did for Ugly Kid Clothing. 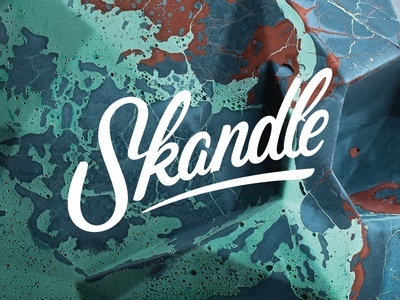 For more UKC, check the full project! 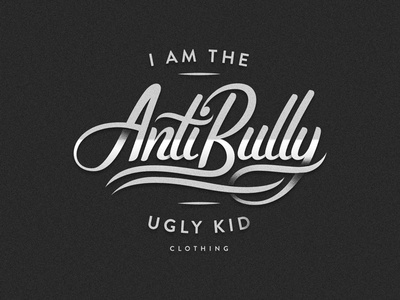 Ugly Kid Clothing: I Am The Anti Bully — Another t-shirt graphic for Ugly Kid Clothing. Enlarge for more details! 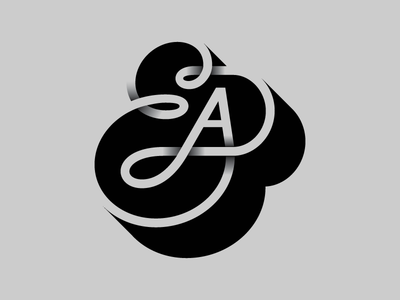 Check out the work in progress shots in the attachments.